Silverfish Carpet Beetle and Clothes Moths are a fabric pest feeding on natural fibers like wood, cotton, they also ingest paper as a food source. These pests causes irreparable damage to posters, books, pictures any paper based products, linen, clothing. Silverfish are easily transported from one property to another in old furniture, clothing and books. The pests feed on natural fibers. All stages of the fabric pests’ life cycle are destructive causing irreversible damage. Hygiene is the best defence for this pest practice vacuuming, air drying and dusting on a regular basis. If you have purchased good and you are transporting from other locations key to check the good before moving them into your new home/office/wardrobe. Practising good hygiene by vacuuming, dusting and regular cleaning is the most effective defence against these pets, we can offer a service using a heavy duty extract unit that will suction the areas that you may feel your own vacuum is not capable. It is a myth that paper lice attack people it is often the dust and debris that we encounter and point the issue at booklice. Booklice belong to the Psocids group of insects they are so small 1 – 10mm in size. Booklice they are found in libraries, old magazines and newspaper piles, under bark, in bird and rodent nests mouldy stored foods, among books. Their diet consists of fungi & mould, dead plant & animal tissue. Chemical free treatment is to put infested items into a black garbage bag and place the bag in the sunshine for several hours. These insects thrive on poor storage of your belongings. After the treatment be sure to store items in conditions that are airy as possible with low humidity. Put an end to Silverfish and Booklice. 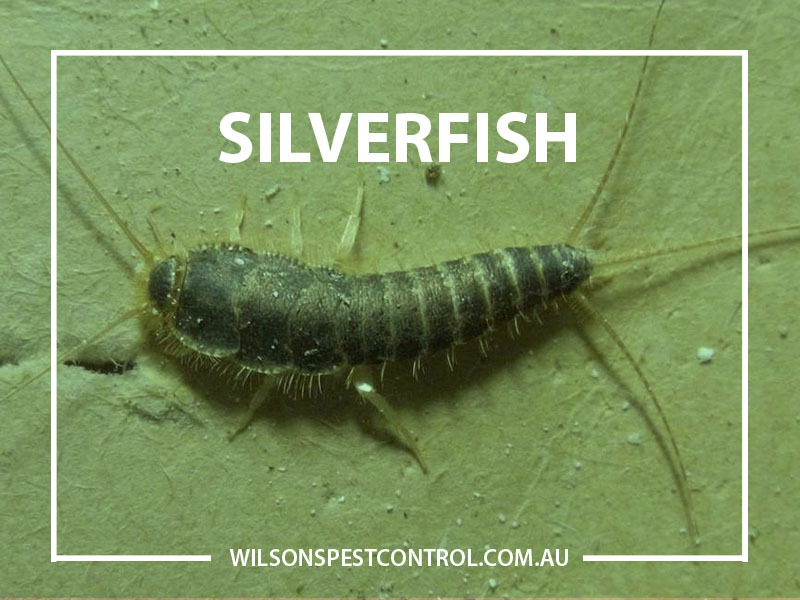 Call Wilson’s Pest Control today on 0451 590 398 if you are worried about Silverfish and Booklice in your home or business.